Angle boxes used to store magazines or other products help in organizing a home or workspace. 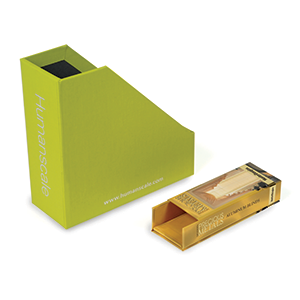 Brilliantly designed angle boxes can do more than just store and organize. They can be used to beautify a space. Used as magazine holders, file holders, paper storage boxes, and magazine caddies, these angle boxes are smaller versions of magazine racks and are great to manage and tidy up surroundings. Angle boxes with slide-on covers are used to store and sell products as well. Ad Industries provides single as well as multi volume sets. These sets are constructed using white lined board, which features a cloth or litho printed cover material. They are constructed so that they can provide support to a number or magazines and books at a time. They are durable and have the ability to protect your books from dirt and dust to some degree. A number of customization options are available. For a luxurious look, you can opt for designs or contact details printed using foil stamping, debossing, and embossing. We utilize the latest technology and delivery systems to provide our clients with products that are superior in quality and durability. We provide a variety of options in terms of sizes, materials, designs. These products can be used for a variety of purposes. To systematize and decorate a workspace with the help of angle boxes, please get in touch with us.